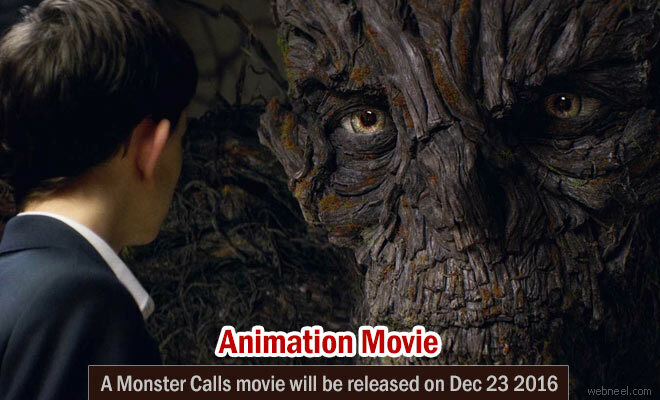 A Monster calls is an animation and fantasy movie directed by J. A. Bayona, and written by Patrick Ness, who has written a novel, which goes under the same name. The movie cast are Sigourney Weaver, Felicity Jones, Toby Kebbell, Lewis MacDougall, and Liam Neeson. This movie was first premiered at the Toronto Film festival which happened in September and will be releasing in USA on December 23, 2016. The story revolves around a young boy and a humanoid tree. This young boy Conor O'Malley(Lewis MacDougall) is put through a lot of obstacles like his terminally ill mother(Felicity Jones), bullying friends and with literally no place to go, he happens to come across a humanoid tree, which tells him a lot of stories, to cope with his life. Liam Neeson is the voice cast for the talking monster tree. The movie is produced by Apaches Entertainment, La Trini, Participant Media and River Road Entertainment. The movie has been rated as 7.6/10 in imDB.